Since the advent of the industrial revolution in the early 19th century, increases in greenhouse gas emissions are thought by scientists to have steadily driven the increase in global-mean surface temperature, known as global warming. This phenomenon is expected to affect humans through sea-level rise and frequent heat waves, among other adverse impacts. 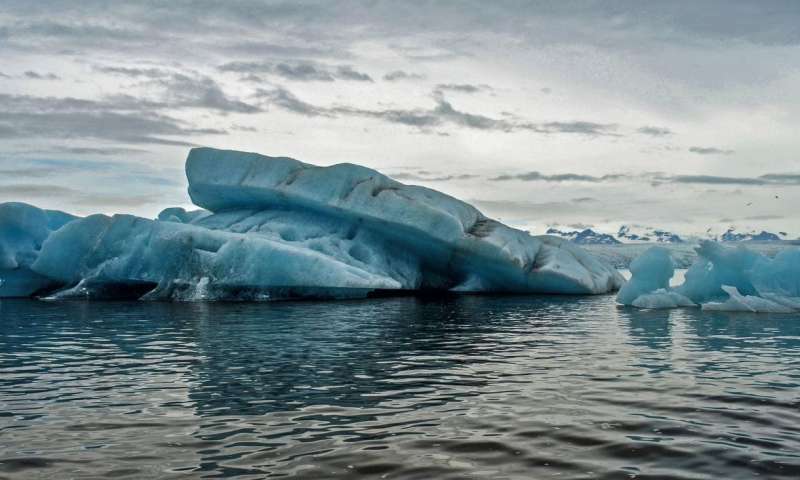 The high complexity of the climate system, however, has made it difficult for scientists to accurately predict the magnitude of global warming in the future and the severity of its impacts. Chief among the issues is that the complex interactions among the many components of the climate system amplify or suppress the warming triggered by the increase in greenhouse gases and unraveling these connections and their importance for global warming is difficult. A new study co-authored by Xiaoming Hu, Ming Cai, Song Yang, and Sergio Sejas published in Science China Earth Sciences provides new insights into how these interactions amplify global warming. "Processes of positive climate feedbacks, such as increases in water vapor in the atmosphere and melting of ice/snow on the surface, are responsible for the amplified warming," said Xiaoming Hu Ph.D., an associate research scientist at the School of Atmospheric Sciences, Sun Yat-sen University, in Guangzhou, China and the lead author of the paper. "However, the changes in air temperature have been traditionally categorized as a negative climate feedback process as warmer air acts to increase the thermal radiation going out to space. The recent development of surface-based climate feedback analysis tools allows a fresh new look at the role of air temperature in regulating surface temperature response to climate forcing." Scientists have long known that the atmosphere is transparent to visible light, which allows the surface to absorb most of the solar energy available to the Earth-Atmosphere system; on the other hand, however, it absorbs most of the thermal energy emitted by the surface due to its "greenhouse" gas components, including water vapor, carbon dioxide, clouds, and methane that warm the atmosphere. In return, the atmosphere emits thermal energy back to the surface, providing additional energy to the surface, maintaining its warmth. This is the greenhouse effect. The authors of this study show that such thermal-radiative coupling between the atmosphere and the surface, which they refer to as the air "temperature feedback," acts to amplify the surface warming in response to an external forcing, the same way as it keeps the time mean surface temperature approximately 30 °C warmer than that determined by simply calculating the solar energy input to the surface alone. In this study, the authors put forward the air temperature feedback kernel to measure the ability of the temperature feedback in amplifying surface warming. They used observations from the ERA-Interim reanalysis to reveal the spatial pattern of the air temperature feedback kernel and relate the strength of air temperature feedback to the climatological spatial distributions of air temperature, water vapor and cloud content. "Such strong dependency of the ability of the temperature feedback in amplifying surface warming on the climatological mean state perhaps is one of the root causes for a large range of global warming projections under the same anthropogenic forcing by different climate models as these models often tend to have their own climatological mean states," said Xiaoming Hu. The authors further state that an implication of the study is that the amplification of the warming signals of these processes by the temperature feedback indicates that warming uncertainties related to the uncertainty of these processes can also be amplified. "For example, the uncertainty in the water vapor increase implies uncertainty in its warming signal, and this uncertainty is then amplified by the temperature feedback. Global warming uncertainty in climate model projections and observations are thus likely linked to the temperature feedback. Making the reduction of global warming uncertainty is a more inextricable task," said Sergio Sejas, one of the four authors of this study. Overall, this observation based study corroborates the findings of a recent climate model based analysis showing that "the temperature feedback is responsible for most of the surface warming globally, accounting for nearly 76 percent of the global-mean surface warming."